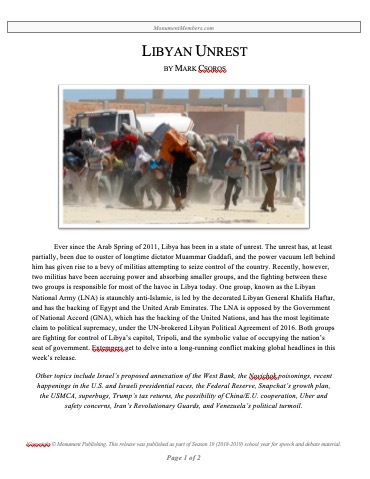 This week’s topics include Israel’s proposed annexation of the West Bank, the Novichok poisonings, recent happenings in the U.S. and Israeli presidential races, the Federal Reserve, Snapchat’s growth plan, the USMCA, superbugs, Trump’s tax returns, the possibility of China/E.U. cooperation, Uber and safety concerns, Iran’s Revolutionary Guards, and Venezuela’s political turmoil. Mark’s competitive history includes top awards in policy, Lincoln-Douglas, parli, extemp, and apologetics in NCFCA and Stoa. 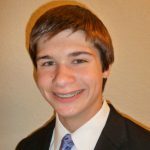 He is currently an honors student at the University of Texas, dual-majoring in the Plan II Honors Program and the School of Business. Through his connections with forensics and writing for Monument, Mark earned an internship at the Texas Civil Justice League, where his research aims to increase stability and fairness in Texas’ civil justice system. In his spare time, Mark plays for UT’s rugby team.